Nutrition must be the trickiest part to master. Eat too much: you’ll get fat. Not enough: your muscles won’t grow or you’ll lose muscle while cutting. Meeting, but not exceeding your caloric requirements is hard but really important when you want to build lean mass. 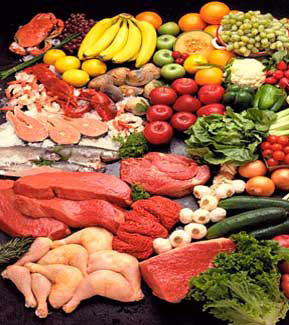 Determining your real daily protein requirement can also be confusing A lack in some micronutrient can spoil all your efforts. Some supplements are just expensive scams, other really help. Which one to choose then? What’s the truth about carbs, fat, cholesterol and vitamins. What are essential or branched amino-acids, why would they be important? Should I cut carbs or fats? What’s the difference between LDL and HDL, why should I care? How many eggs a day can I safely eat. What is GI and insulin sensitivity? Atkins, Mediterranean, Paleo, Montignac, Dukan, The Zone, Lean gains, FMBF, Anabolic diet, cycling, carb loading…. So many different diets; which one to choose? I’ll try clarify some of the most important concepts you need to know and help you choose a suitable diet that will help get bigger or leaner. There’s still a lot of myth that needs to be busted, we will address them. I’ll also talk about supplements: what is useful, harmful or just plain waste of money. Once I’m done, you’ll see that it’s not so complicated after all.